Cape Town raider Zeb, out of Vaughan Marshall’s stable, could be up to the task at the Fairview Polytrack on Friday when lining up with Louis Mxothwa in Race 7, the November Stakes (Non-Black Type) over 1400m. This six-time winner – all over 1400m – closed his KwaZulu-Natal campaign with a gutsy pillar-to-post win at the Greyville Polytrack. 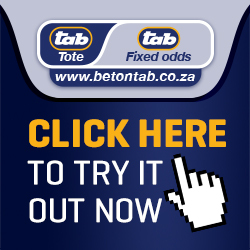 Then next time, when starting his five-year-old season and neglected in the betting, he ran out a clear-cut winner in a MR 88 Handicap at Durbanville. This gelding was not disgraced in his following outing when up in class, as he showed similar pace and was a creditable runner-up in a MR 94 Handicap over the same course and distance. Then in his subsequent outing he held form well – running on stoutly under 57.5kg at Durbanville and snatching victory in a MR 84 Handicap. 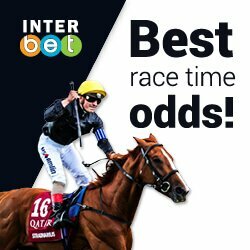 With a handy galloping weight of 55.5kg and having a good inside draw, the gelding will be tough to beat over his most effective distance. The raider will have most to fear in Gavin Smith-trained six-time winner Dawnbreaker with Craig Zackey up. This five-year-old has not been unplaced in his last 12 starts which yielded five wins. The gelding was denied a Polytrack hat-trick in his penultimate outing when a one-length third in the 1600m Founders Trophy. However, he struck back next time with a decisive win in a Pinnacle Stakes over the course and distance. Drawn alongside Zeb, a keen duel can be expected. But both will have to be on guard against top-weight Afrikaburn from Tara Laing’s stable with Chase Maujean aboard. This six-time winner was a good second to Dawnbreaker three runs back in a 1400m Pinnacle Stakes at the Polytrack and followed up with a creditable fifth in the Founders Trophy. Then refreshed after a short break, the seasoned campaigner made light of 61kg with a clear-cut start-to-finish win in a 1600m Pinnacle Stakes on the grass course. Next best are Captain Marmalade, Breakfast Club and Silver Blade. Look to Smith-trained Hallo Rosie (Muzi Yeni) for a profitable start to the meeting. This three-year-old filly has improved with each run and can be considered unlucky last time when finishing second as she was hampered in the running and lost a shoe as well. She should exit the maiden ranks this time with the advantage of pole position.